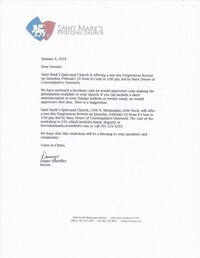 This coming Sunday, January 21, is the date of our Annual Parish Meeting. All members and friends are invited to stay after church for a potluck lunch. At our meeting we will be electing three new members to our vestry, as well as reviewing our 2018 budget and taking a look at other plans for the new year. New vestry nominees are Jane Horner, Gina Pillow and Carla Myers. During worship on the 21st, we will celebrate the baptism of William Henry Fielder. It is going to be a very special day at St. John’s! On January 28, Bishop Larry Benfield will be with us for his annual pastoral visit. Please plan to be present to support our bishop as well as those who will be baptized, confirmed and received on that date. A catered luncheon will follow worship. Mr. J. Chester Johnson of New York will be presenting a program entitled Auden, The Psalms and Me on Tuesday, January 23 at 5:30 p.m. at the Pillow Thompson House. Mr. Johnson replaced W.H. Auden as the translator of the Psalms for our 1979 Book of Common Prayer. Copies of his book, which he will be happy to sign, will be available at the discounted cost of $10. Light refreshments of wine and cheese will be served. Please keep the following in your prayers: Buddy Wheeler, Jim Howe, Jr, Susan Worrell, Debra Richardson, David Henderson, Kathy Sullivan, Jimmy Billingsley, Larry Bryant, Lynn & Richard Jordan, Carla Myers, Ray Worley, Louis Hardman, Chris Walters, Carol Jennings, Jane Barker, Donna Rohrscheib, Nancy Howe, Jim Howe, Donald Wayne Merritt, Parker Pace, Heather Treat, Annie Fielder, Julie Ann Doan, Martha Buchanan, and the family of Frances Keesee. Jan 21, Sun at the 10:30 service - William Henry Fielder will be baptized. 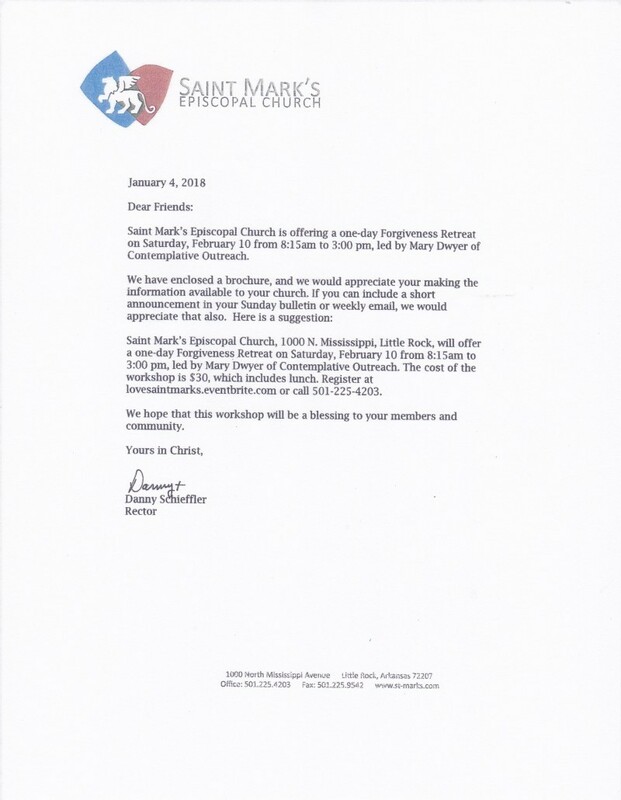 Feb 10, Sat – St. Mark’s one-day Forgiveness Retreat information is below.